How many pictures of candidates have you seen recently? Some of them are celebrative. Others obscure. Others even funny. Pictures are an important element of each political campaign, because Image is. This “making of” the Polka shooting of all French candidates has something extraordinary. Here we see politicians disarmed (in front of camera) and who is actually commanding? The photographer. If I’ll have to vote for someone, then, it will be for the photographer! Cinemetrics is a tool which creates a visual ‘fingerprint’ of movies. This project is about measuring and visualizing movie data, in order to reveal the characteristics of films and to create a visual “fingerprint” for them. 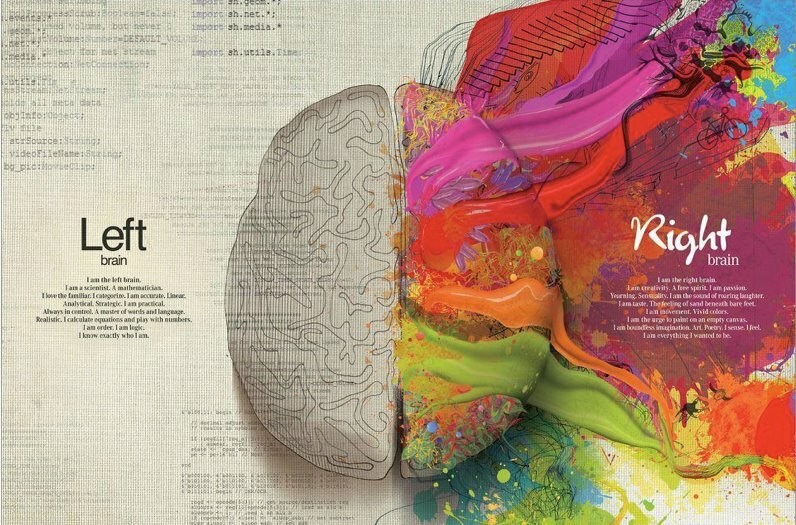 Information such as the editing structure, color, speech or motion are extracted, analyzed and transformed into graphic representations so that movies can be seen as a whole and easily interpreted or compared side by side. 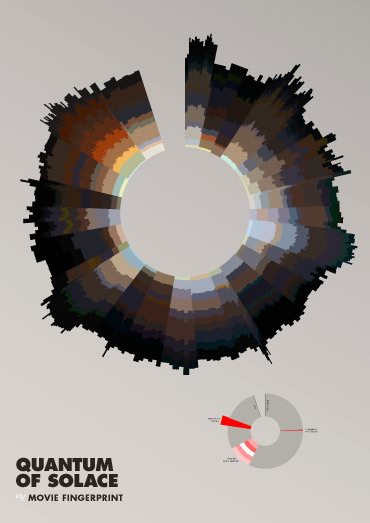 The “fingerprints” look just like piecharts, but way cooler, as Information is beautiful said! Tip of the day: check out the website of the very talented Frederic Brodbeck, visual artist gratuated from the Royal Academy of Arts (KABK), Den Haag. Bansky occupies London with Monopoly artwork. Artist Bansky made his move for Occupy London. 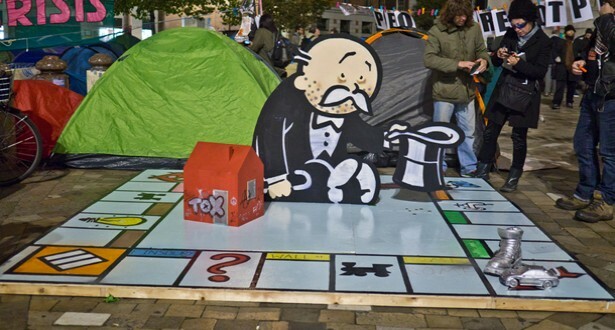 A Monopoly board was pictured by shortlist.com during the manifestation. Göran Strand of Östersund, Sweden, took a panoramic photo of Tuesday night's sights and wrapped it into a 360-degree composition titled "Planet Aurora." 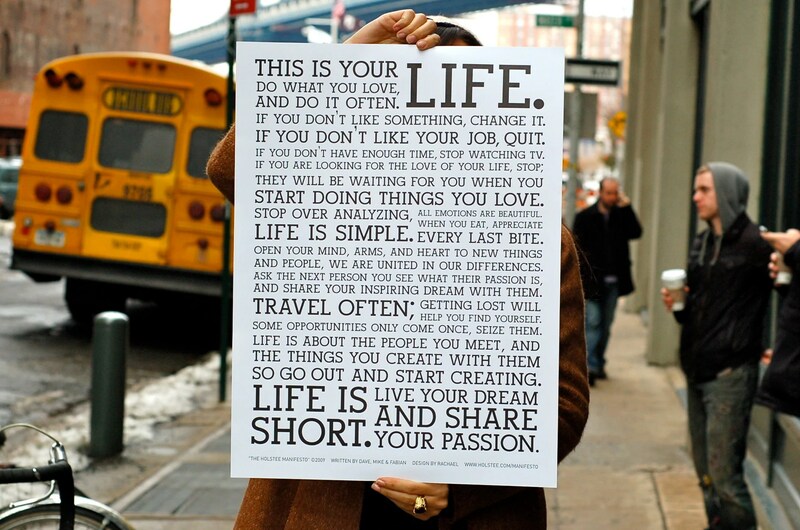 How many of you have made a “good proposition list” for 2012? And how many have already forgot it? 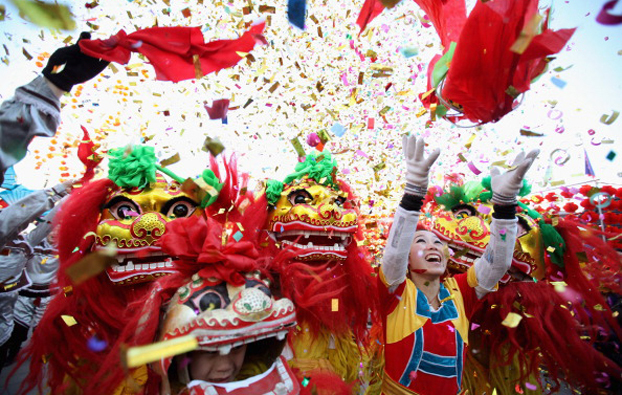 Here’s another chance to start all over again…the chinese new year just begun! If you want to see more pictures, visit the “Time”‘s album and for a vintage touch visit LA times’ album. And click here if you want to know more about the dragon’s year. All the good things about Kodak films. They said it’s the end of it: Kodak will not produce any more films. But a couple of days after it filed for Chapter 11 bankruptcy protection, Kodak announced that “Films division is still profitable”. As first post for the new section of this blog, I would like to celebrate my analog love for Kodak film. You can find a wide selection of photographies in this Magnum’s album. What about us, aspirant photographers? Check out this Kodak film group on Flickr. I know I will disappoint my photography professor, but what can I do? I just love shooting on Kodak expired films, just as them. So, finally should we say, welcome back Kodak?